I have to hand it to my super-secret source here in Connecticut who fences me Hardywood Park Brewing Co. stuff all the way from Richmond, Virginia. This bottle of Singel made my day. It’s a crisp, estery Belgian ale with a delicateness that makes it very food-friendly. I paired mine with shrimp marinaded in sesame oil, red-wine vinegar and red-pepper flakes, along with corn on the cob and green beans with sauteed onions. The Singel (a lighter take on the dubbel and tripel) blended nicely with the shrimp and cut through the sharpness of the red pepper flakes. I’ve been a fan of this award-winning brewery for years now, and thanks to my super-secret beer mule, I’m a lucky guy. Hardywood Park’s Gingerbread Stout, is an amazing beer, and now I read that they have cream ale in cans, which sounds like an awesome summer addition to the beer fridge. If you can get Hardywood Park Brewing, I urge you to. And feel free to shuttle some up my way if you have room in your trunk. 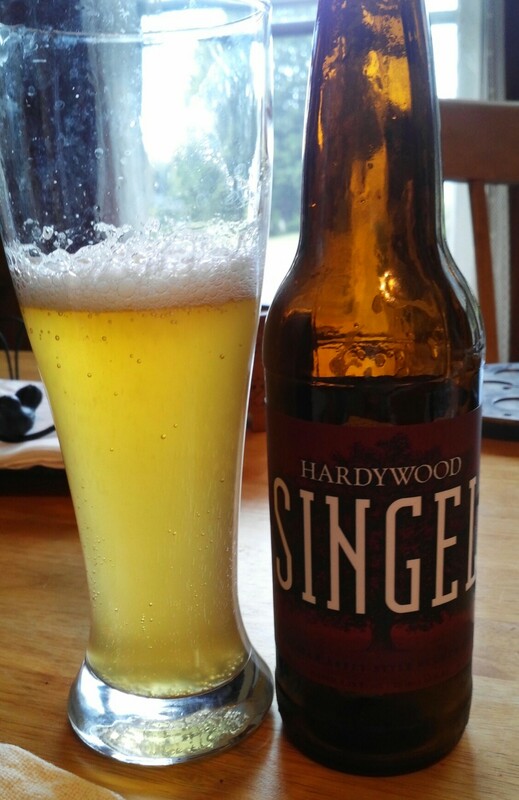 This entry was posted in Beer reviews and tagged Hardywood Park. Bookmark the permalink.